Los Angeles lamppost buff Glen Norman points out that a “radial wave” incandescent luminaire survives in Pasadena, on Grand south of Bellefontaine. 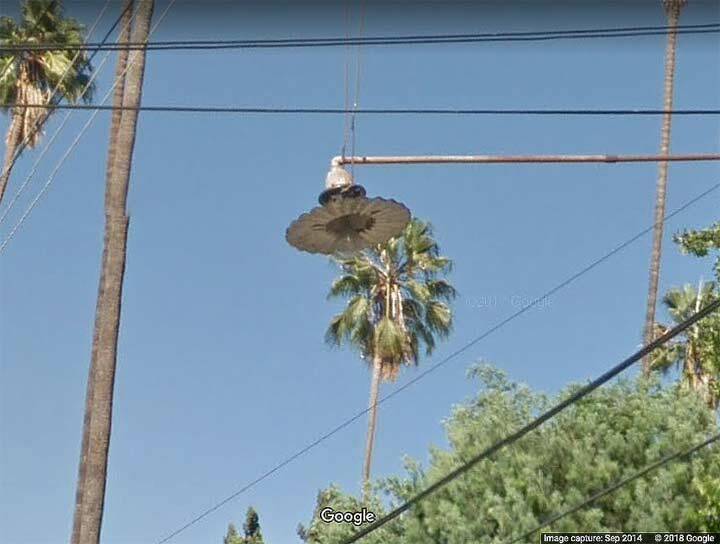 Los Angeles, while diligently converting to LED, has put a number of still-surviving incandescent streetlamps out of business, but Pasadena may have different ideas and who knows, this one might just make it. Here’s a zoomed-in view of the same lamp. Generally these are referred to as “radial waves” because the incandescent bulb is reflected by a flat circular disc with wavy edges that look like crinkle-cut french fries. 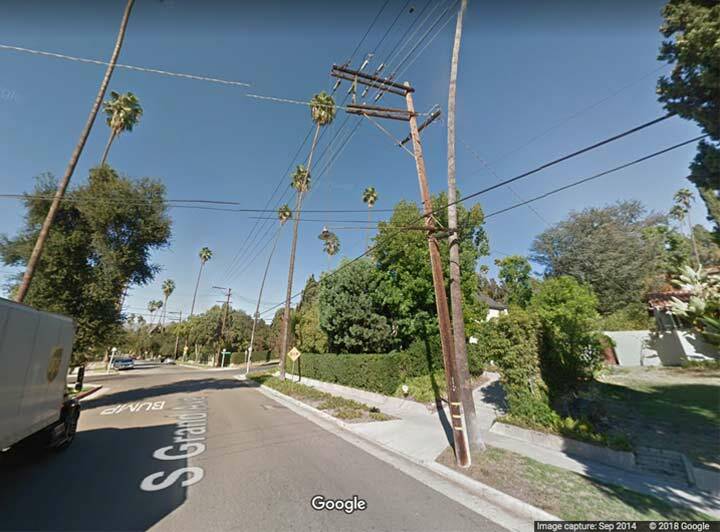 Why show a radwave in Pasadena in Forgotten New York? The so-called “outer boroughs'” streetlighting used to be utterly dominated by this style, usually mounted on telephone poles either with straight guy-wired masts as here or in short scrolled masts used to hold fire alarm indicators, between about 1915 and 1955. They were once as numerous as passenger pigeons, but by the time I got into lampfanning as a kid, the radwaves were down to a few stragglers, mounted on Type G park poles or hiding under elevated train overpasses. Perhaps a couple made it to 1985, but that was it. Closer to home, a flock survives in Roslyn the last time I checked, but it’s been a few years, and I’ll have to re-inspect the area! As of 17 January 2018, Metuchen NJ still has some radial wave luminiares in use. For example, along Hanson Avenue, and both the Kempson Place and Peltier Avenue intersections. In October 2016 I traveled to Wisconsin to see a plaque commemorating the passenger pigeon.